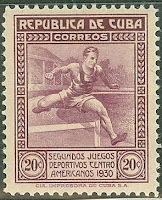 In 1930, Cuba issued a set of five stamps celebrating the Central American Games (Scott #299-303). 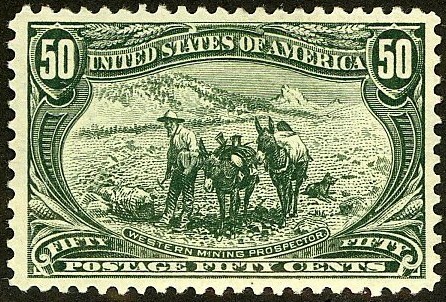 50,000 sets were issued, and Scott '14 prices the unused set at $20.65 ( $32.50.- for NH) . 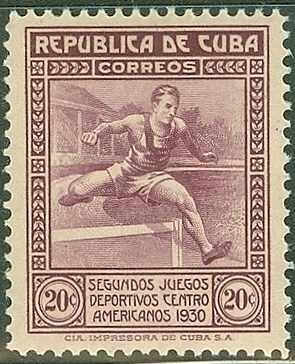 The set has appeal as a Sports Topical, particularly to Latin American collectors who specialize in stamps honoring this regional competition. As with most of Latin America, Cuba has issued many stamps which I feel are grossly undervalued. This set has wide appeal throughout Latin America, and should do very well, especially after Cuba rejoins the free world. Note that "gloppy" or toned gum are typical defects found on many of these sets, so select for those that have clean gum.